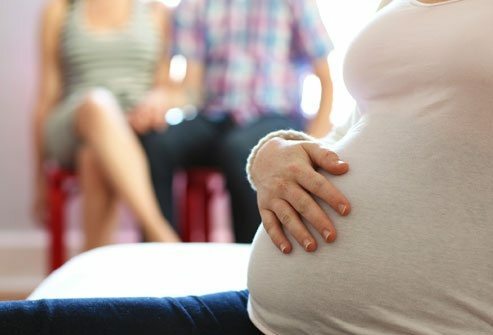 Should commercial surrogacy be legalised in Australia? Altruistic surrogacy, in which the surrogate mother does not make a profit, is legal in most Australian states and territories. The commissioning parents may reimburse the surrogate mother for the cost of reasonable medical and legal expenses, but cannot pay anything beyond that. Commercial surrogacy is where the surrogate mother is paid beyond the recovery of medical costs and makes a profit. Commercial surrogacy arrangements remain illegal within most Australian states and territories. This was reaffirmed in September, when the Family Court of Australia ruled that the parents of a child, who was born overseas to a paid surrogate, could not be legally recognised as parents under the Family Law Act. Instead, the court made an order of parental responsibility to the couple. Now another Australian couple has been left in legal limbo after paying a surrogate in the United States to carry their twins. David and Naomi Seddon first met in San Francisco. They soon married and tried to start a family but after undergoing three rounds of IVF, discovered that Ms Seddon was unable to give birth. The Seddons, who were living in Los Angeles at the time, contacted an agency who found them a commercial surrogate. They are now back in Australia with their six month-old daughters, but are worried they won’t be legally recognised as their parents. The twin girls are American citizens and are in Australia on 90 day tourist visas. Their parents are concerned that their visas will expire before they can become Australian citizens. The Seddons are on non-immigrant E-3 visas in the US, which can be terminated by their employers at any time. Their lawyer says while it is likely the children will be granted Australian citizenship, there are also other issues at play. Surrogacy advocate Sam Everingham says that children born to overseas surrogacy may find it difficult being included in their parents’ wills, and may face other issue down the line.